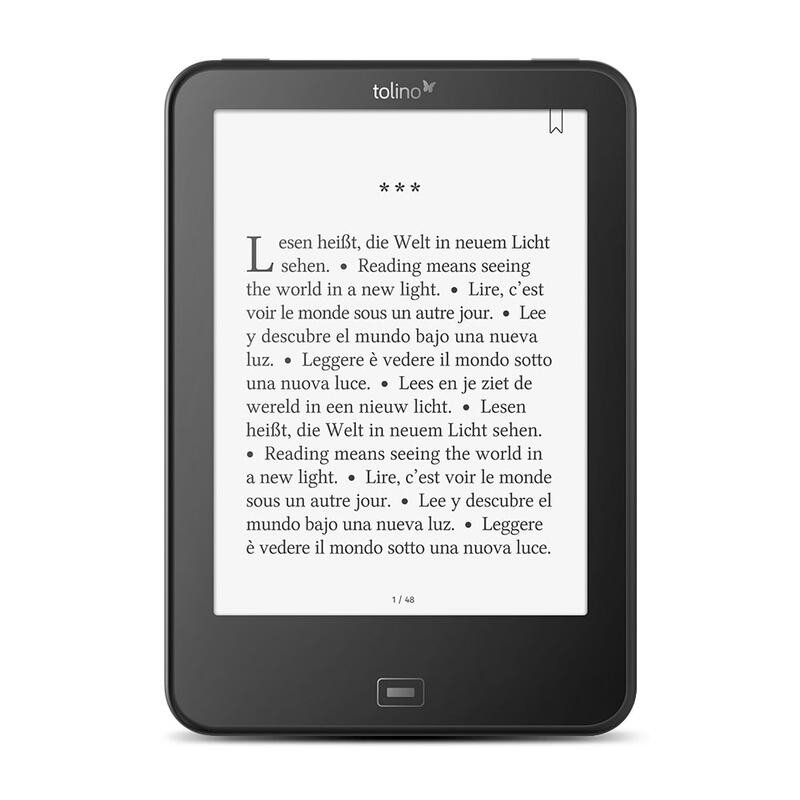 The German ebook consortium Tolino announced its newest ereader on Monday. The Tolino Vision 4HD is almost identical to its predecessor, but it does have a couple features to recommend it. The Vision 4HD sports the same 6" Carta E-ink screen (300 ppi), runs on the same 1GHz Freescale CPU, and has the same waterproofing as its predecessor, but there are a couple subtle improvements which may make this ereader worth getting when it reaches store shelves tomorrow. Those who just want the cable can find them on Amazon for $5 to $10. The other significant change to the Vision 4HD concerns its frontlight. Tolino followed Kobo's lead and upgraded the frontlight with a night-reading mode which filters out the blue light emitted by the frontlight. Tolino is calling it "smartLight", and when enabled this feature changes the color of the frontlight so that it looks bluer in the morning and more orange-red in the evening. The Kobo Aura One, on the other hand, goes from white to a red-orange depending on the time of day and on a user's settings. And of course the Aura One has an 8" screen; the Vision HD is the first ereader with a 6" E-ink screen to add this feature. too bad there is no north american dealer for this (yet?). going to keep an eye on this one. the tap on back of device page turn function is interesting. There is not North American dealer, because this is device developed and marketed by Deutsche Telekom. That is great another e-reader has a blue light filter. Perhaps Amazon will add that in its next Kindle. at this point, they really must. Your specs list a microSD card slot, but the Vision 4HD lacks one, unfortunately. Otherwise, a nice device. I hope, that the Shine 2HD will also get a successor with “SmartLight”. The Vision 4HD is pretty expensive (shops list it for 179 EUR). I thought I saw one on the images. Thanks for catching that. They still don’t have a waterproof reader, so I wouldn’t say they will feel pressured to add a filter either.